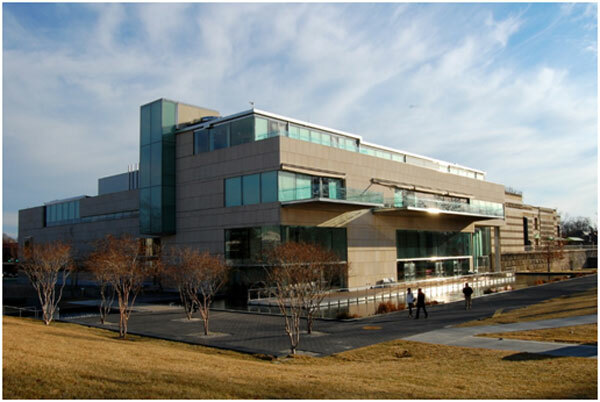 If you’re looking for great collections of art, the Virginia Museum of Fine Art is sure to please you. Best known for its five Faberge eggs, it also contains works by other famous artists and large collections of African, Indian, and other art. Visitors have praised the large amount of works, saying the museum is “impossible to see everything in just one visit.” Aside from the amazing artwork, the museum also features a restaurant within. The restaurant, considered one of the best in Richmond, is called Amuse. The Virginia Museum of Fine Arts is open every day. On Saturday to Wednesday, the museum opens at 10 am and closes at 5 pm. On Thursday and Friday, the museum is open from 10 am to 9 pm. General admission won’t cost you, but special exhibits and events might. Parking also costs money, at around $5. One of the most popular tourist attractions in Richmond, the Virginia State Capitol is known for Thomas Jefferson designing parts of it. Other than admiring the building’s beautiful design and architecture, visitors can stroll the grounds and take photos. The surrounding area, called Capitol Square, is known for containing several monuments that are dedicated to the civil rights movement. Other famous monuments are also placed here, such as some of Thomas Jefferson, Patrick Henry, and Edgar Allan Poe. If you want to learn more about the capitol, consider taking a free guided tour, given by knowledgeable guides. The Virginia State Capitol is open every day, from 9 am to 5 pm on Monday to Saturday, with free tours offered from 9:30 am to 4 pm. On Sundays, the capitol is open from 1 pm to 5 pm, with the tours offered from 1 to 4 pm. 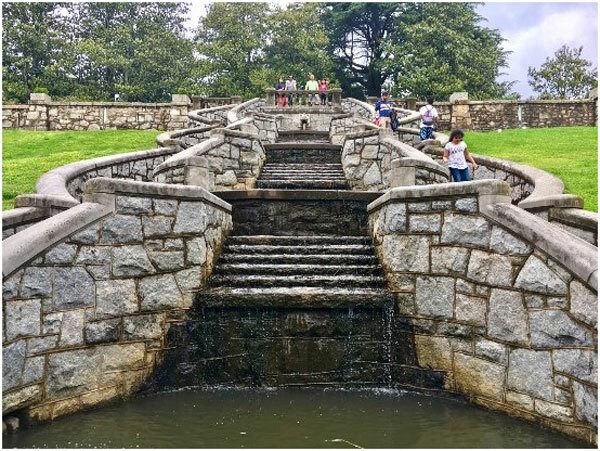 Located on property that used to be Powhatan Indian hunting grounds, the 50-acre garden is another popular attraction in Richmond, Virginia. Here, you can see many plants, as well as visit its domed conservatory, the “only one of its kind in the mid-Atlantic.” The garden also hosts annual events for the family, such as Butterflies LIVE! and the GardenFest of Lights. If you start feeling hungry, visit the on-site café and tea house, where you can enjoy light snacks and tea. If you’re looking to start a garden of your own, head over to the garden shop to buy some plants of your own. 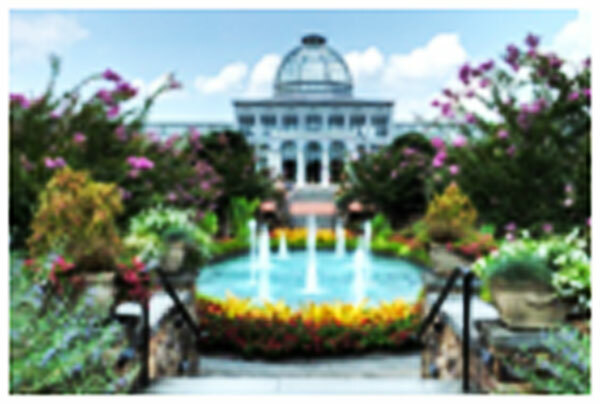 The Lewis Ginter Botanical Garden is open from every day from 9 am to 5 pm. Entrance for adults costs $13, $8 for those aged between 3 to 12, and free for those under 3. For certain occasions, extended hours are offered. 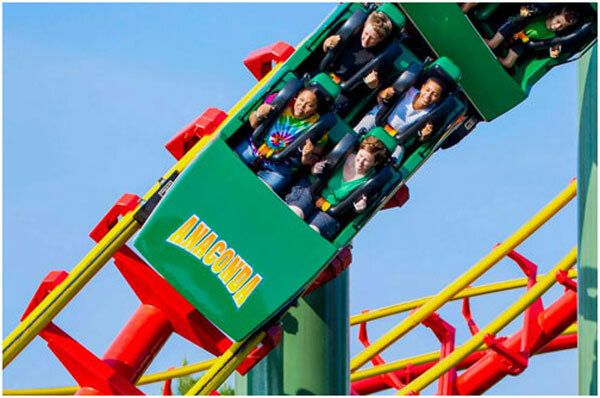 If you and your family need a break from all the educational fun, head over to Kings Dominion, where you can enjoy a different type of fun. The 400-acre water and theme park is one of the most popular attractions in Richmond, racking up thousands of visitors each month. If you’re looking for thrill rides, several are offered here. The Grizzly coaster, a thrill ride, is one of the most popular. If you want to have a splash with your kids, the Soak City water park entrance is included in the general admission price. Recent visitors have complained about the high food price. They recommend eating outside of the park, as packed food and drink are not allowed into the park. Kings Dominion is open from 10:30 am until 10 pm from Memorial Day weekend to Labor Day weekend. They are also open certain days and weekends throughout the rest of the year. The water park opens at noon every day. Entrance price costs $55 for everyone who purchases online. For tickets at the gate, the price is a bit steeper at $66 per person. If you’re a fan of history, head over to the Virginia Historical Society. This museum offers a large collection of Civil War artifacts, including writings, newspapers, pictures, records, and even music. This free museum is a fun and educational attraction, especially for rainy days. Special exhibits and events might cost a bit extra cash. 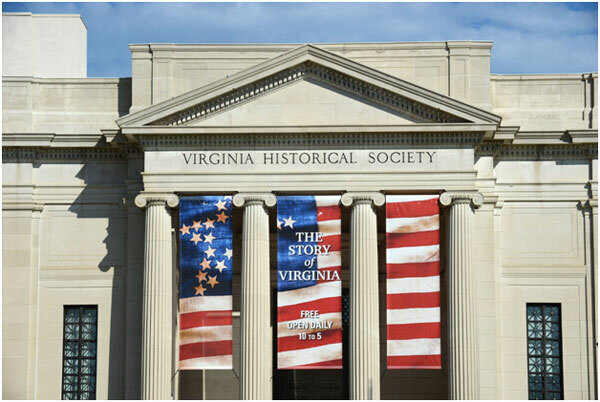 The Virginia Historical Society is open every day from 10 in the morning to 5 in the evening. The library portion is closed on Sundays, but open every other day of the week along with the museum. For information about special events and exhibits, head over to the Virginia Historical Society’s website. Yet another museum, this one is more special than the others. 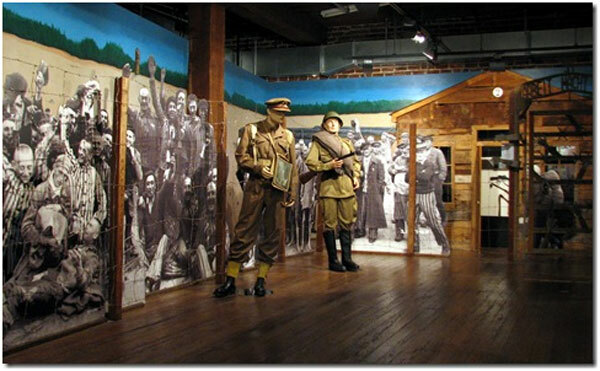 Founded by one of Richmond’s youngest Holocaust survivors, Jay Ipson, the museum teaches about the details of the Holocaust as well as of the Ipson family. Regarded as one of the nation’s best Holocaust museums, visitors have flocked to the museum to learn about the stories of Holocaust survivors. The museum is open every day of the week from 10 am to 5 pm Mondays to Fridays, and from 11 am to 5 pm on Saturday and Sunday. There is no cost to enter. Because of the graphic nature of the museum, kids in the sixth grade and below are recommended to stay home. Once the sprawling home of wealthy residents of Richmond, the property was given to the city at the time of their deaths. Today, this is a popular activity to do in Richmond. Maymont contains Japanese gardens, a carriage collection, and a petting zoo and arboretum. This is not to mention the magnificent 33-room mansion. Imagine living in this 12,000 square foot house, with a room for anything and everything. Recent visitors suggest packing a lunch, which you can enjoy on the mansion lawn, because there is just so many things to do. This might be the only problem with the estate: that Maymont features too much to see and do. Many visitors decide to take more than one trip here. The Maymont estate grounds and visitor center are open Tuesday to Sunday, from 10 am to 5 pm. Throughout the months of April to September, the grounds and gardens are open until 7 pm. The spectacular mansion is open from noon to 5 pm Tuesday to Sunday. Entrance is free, but donations are suggested for some exhibits and tours. 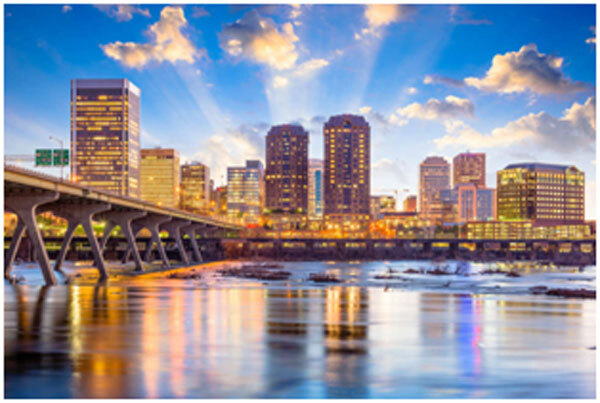 The best way to tour the city of Richmond (as well as many other cities) is by chartered buses and vans. Explore at your own pace within the safety of your private vehicle. Don’t worry about ordering an Uber or Lyft when you have your own exploration vehicle. Through Prompt Charters, you can order the buses you need. Prompt Charters is an amazing, affordable chartered vehicle company that caters to your every needs. Whether you need a bus for school trips, marriages, parties, campaigns, or whatever else, Prompt Charters can help you. Prompt Charters offers buses, mini buses, school buses, party buses, and more. Most activities and destinations listed above and below are accessible by chartered buses. Visit the promptcharters.com to book your rental bus today! Carytown Shopping –If you’re looking for a place bustling with energy and a great variety of shops, Carytown is the place to go. The place is filled with fashion, specialty, home décor, beauty, and more stores, as well as several services. 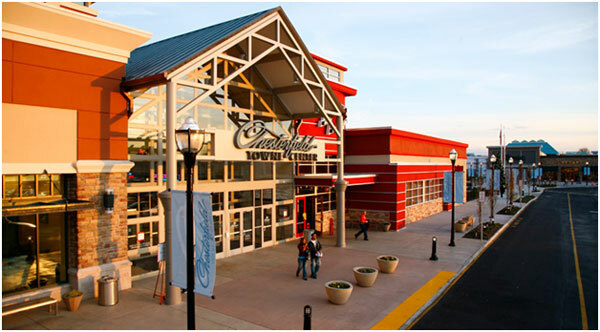 Chesterfield Towne Center – The Chesterfield Towne Center is a popular shopping mall south of the James River. Chesterfield offers a great selection in terms of shopping, dining, and services with more than 140 shops. Regency Square Mall –Regency Square Mall is another amazing shopping center featuring over 100 shopping options, as well as great eating and entertainment options. Short Pump Town Center –The Short Pump Town Center is a great outdoor shopping center, with several great stores as well as a variety of dining options. Antique Village Mall Complex – Every great city has a great spot for antiques. Well, this is that spot for Richmond. The Antique Village Mall has all the antiques and goods you’ve ever wanted..
L’Opossum – If you’re looking for an amazing sit-down restaurant, L’Opossum is the place to go. The French-American restaurant is rated the #1 fine dining restaurant in Richmond by tripadvisor. Lunch Supper – Richmond is filled with great local food, but the one that really stands out is Lunch Supper. The American restaurant is rated the #1 local cuisine restaurant in Richmond by tripadvisor.